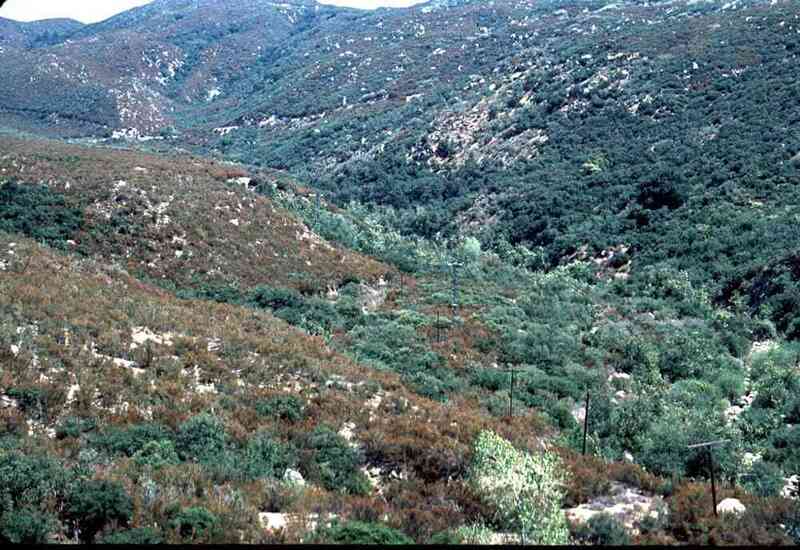 Californian Chaparral, San Diego County, California; wet season. 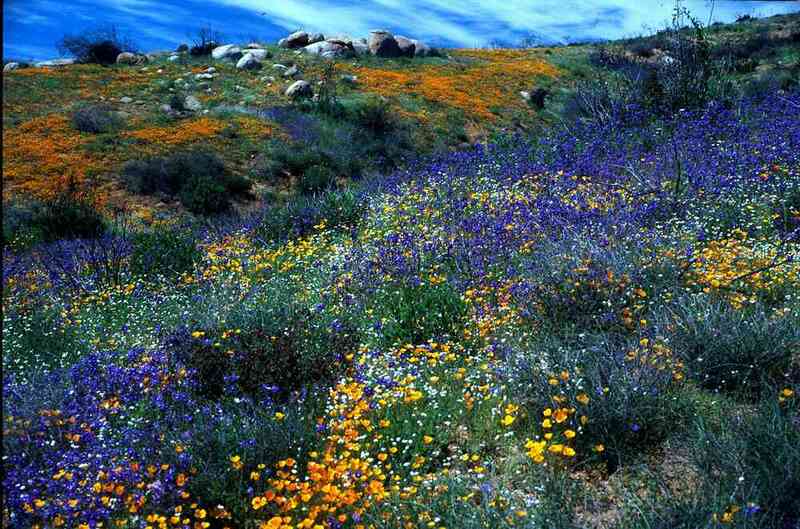 Californian Chaparral, San Jacinto Mountains, California; dry season. 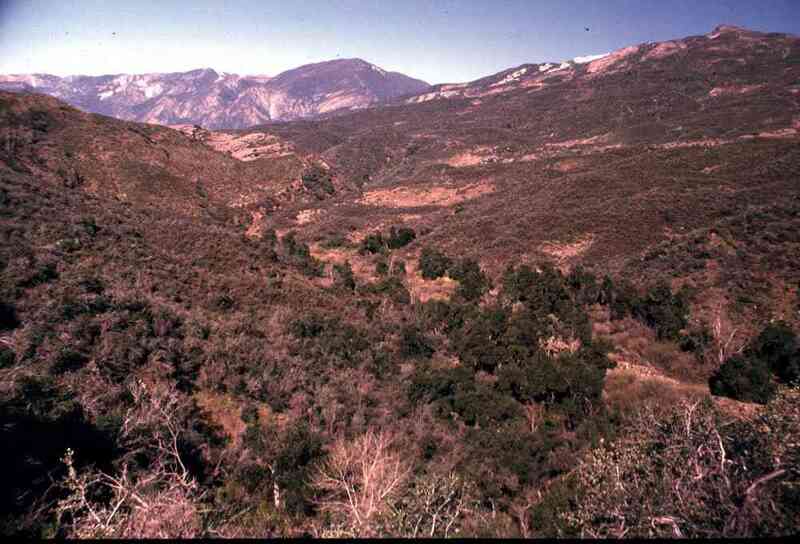 Californian Chaparral, Sespe Condor Refuge, California; dry season. 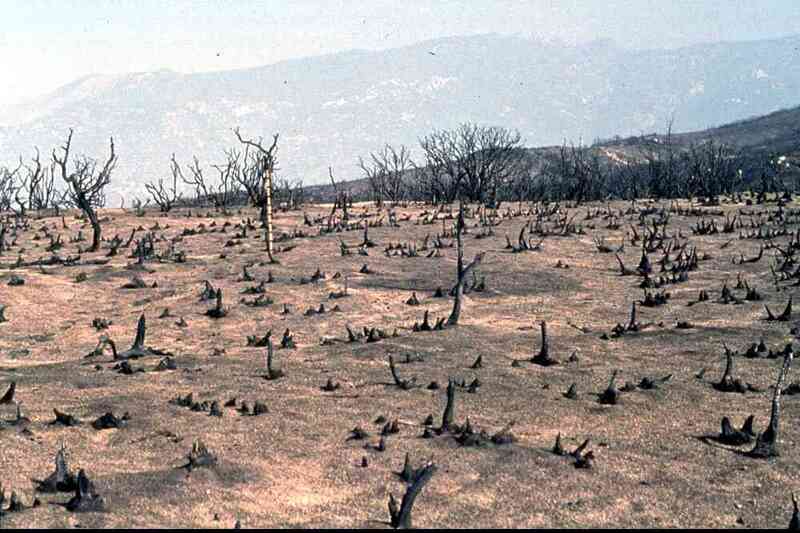 Recent burn in Californian Chaparral, San Jacinto Mountains, California. 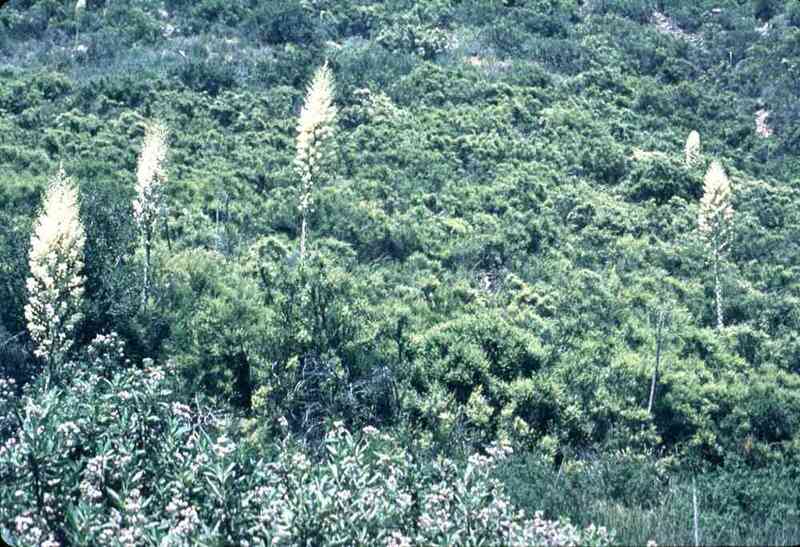 Chaparral must burn periodically to maintain the health of the community. 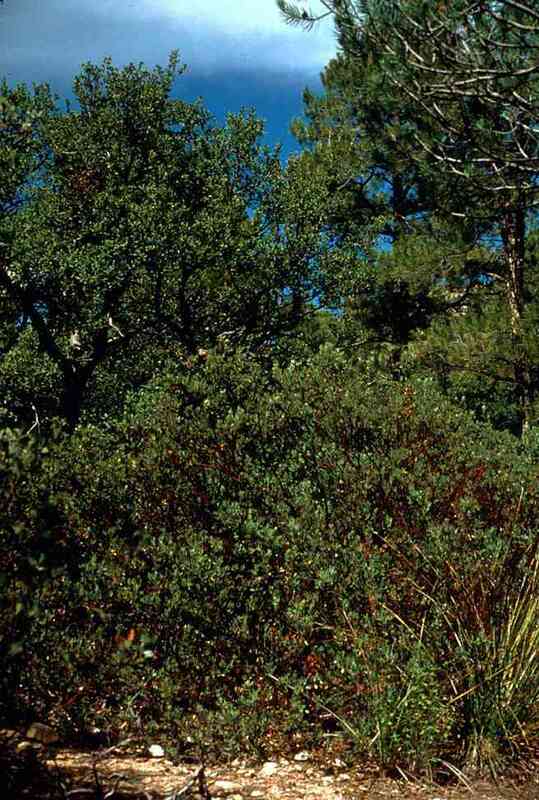 Interior chaparral in the Chiricahua Mountains, Arizona. 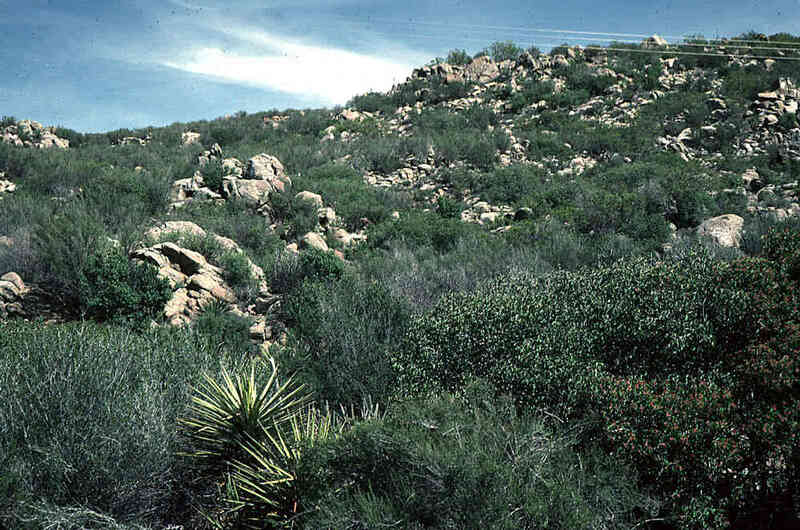 This community has many fewer species than Californian Chaparral. 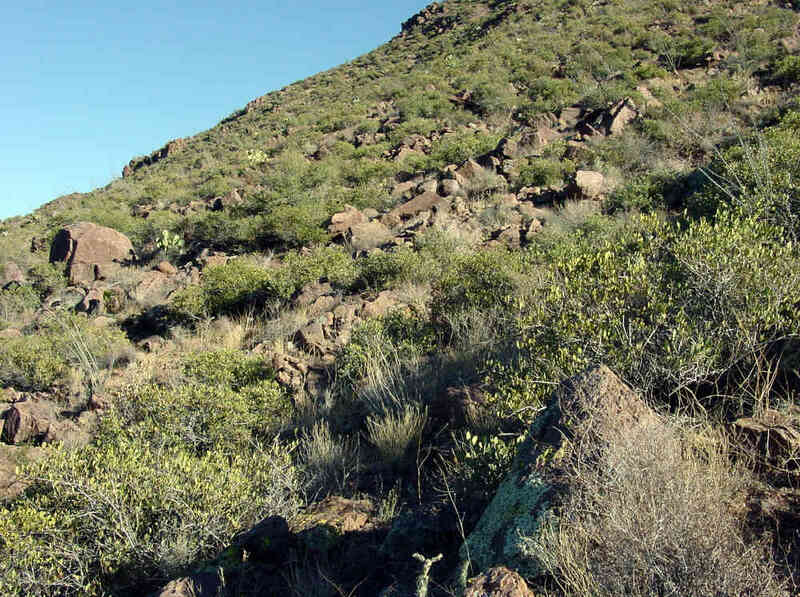 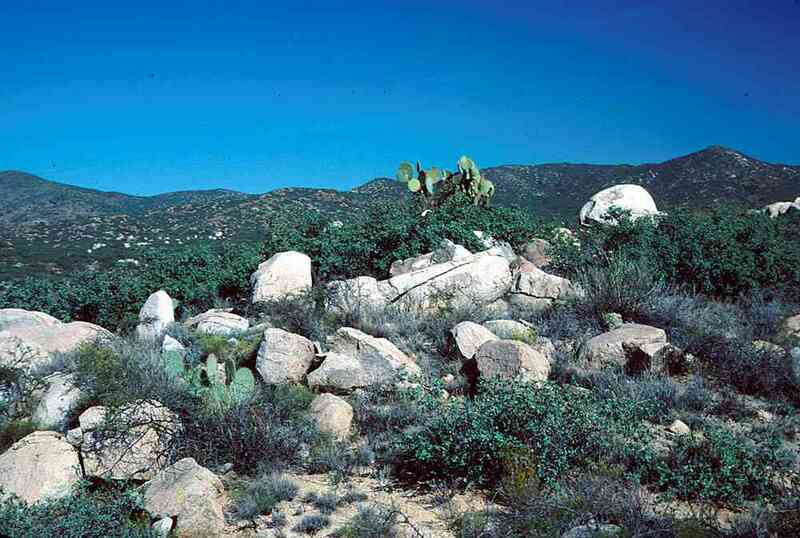 This anomalous community in the Silver Bell Mountains, Arizona is probably Interior Chaparral. 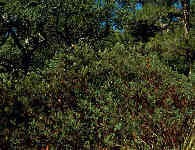 The dominant plant is jojoba.